We have set up a small group to start recording the memories and experience of people living in the area. If you are interested in becoming part of the project on either side of the microphone, please get in touch. Robert Walker, curate of Seathwaite chapel from 1736 to 1802, was made famous by Wordsworth who praised him in verse and prose and was the first to mention the nickname ‘Wonderful’. Most of the brief sketches of Walker’s life that appear in general guides to the Lakes turn out to be derived from Wordsworth but the original material can be difficult to find, since the prose ‘Memoir of the Rev. Robert Walker’ is tucked away in a footnote to The River Duddon and the epithet ‘Wonderful’ appears in a passage of a hundred lines or so buried in Book V11 of the long poem The Excursion. 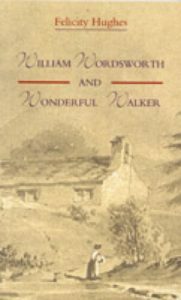 In her new book, Felicity Hughes has brought together all the relevant material from Wordsworth and added some further sources of information about Walker not supplied by Wordsworth. She has also charted the (not always uncontroversial) history of Walker’s posthumous reputation. How did he manage to raise a family of eight surviving children on a stipend starting at £5 per year and leave the considerable sum of £2000 at his death? Could he have amassed so much worldly wealth and yet been as ‘Wonderful’ as Wordsworth alleged? Did he do it, as some have claimed, by selling ale? And Wordsworth, whose excellence as a poet is beyond question, how good was he as a biographer and local historian? 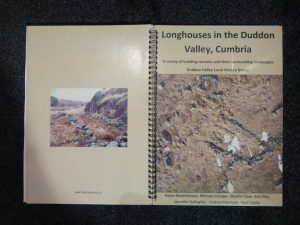 The Duddon Valley Local History Group’s latest book does not pretend to give definitive answers to such questions, but aims to put the reader in possession of some of the information on which any judgements should be based. onal Park and the trained volunteers of the Duddon Valley Local History Group, supported by the Heritage Lottery Fund. 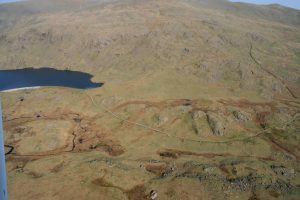 In the three years from 2006 to 2008, this partnership surveyed most of the Duddon Valley in southwest Cumbria for archaeological remains, and carried out an excavation of a large Bronze Age ring cairn. The results exceeded all expectations, with over 3,000 finds of previously unrecorded sites, ranging from Bronze Age ritual circles, through medieval longhouses, to a plethora of remains from the period of the Industrial Revolution. 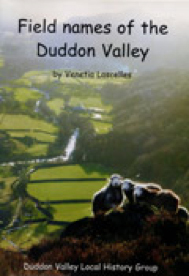 These exciting discoveries have opened our eyes to the fact that the Duddon Valley, which is now an almost uninhabited haven of peace, was once a hive of human activity. The content of the book can now be downloaded from the set of links above. 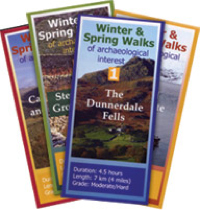 Copies of these walking leaflets are available at the Tourist Information Centre in Broughton in Furness. The TIC also hold the a collection of artefacts from the series of Excavations at Stephenson Ground Scale which is documented in Walk 3. A look at the fascinating naming of fields throughout the Duddon & Lickle Valleys. New revised & extended edition available.